In an industry known for creating massive volumes of inexpensive clothing that ultimately ends up in landfills, H&M doubles down on its sustainability strategy. Taking a play from the Marks & Spencers playbook, the retailer accepts clothing from any brand in any condition in its retail stores. As the company grows, it appears its sustainability plan is expanding to keep pace. As industry excess, environmental accountability and humane labor practices are in the spotlight, H&M has refocused on sustainable practices. 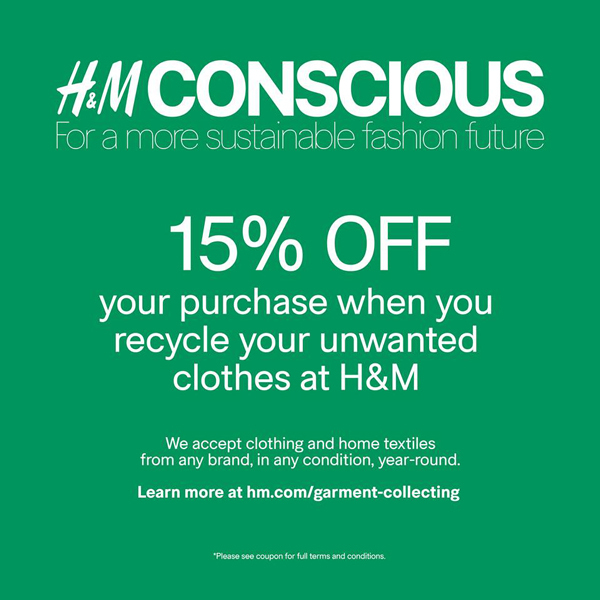 The retailer launched World Recycle Week soliciting unwanted, used, or damaged clothes for recycle or refurbishment and incentivizing consumers with coupons for contributing. Its “Conscious” collection uses recycled fabrics and more sustainable manufacture.